I think people should die without their dreams being fulfilled, so maybe they can have an excuse for coming around again. [dropcap]C[/dropcap]anada bowed its head in sadness on Wednesday with the news that a Canadian legend had passed away… Stompin’ Tom Connors was one of the country’s most prolific and well-known country and folk singer-songwriters; his songs are as much a part of Canadian culture as hockey and maple syrup. Tom was a colourful character with an amazing story and a natural talent for showmanship. Just reading through his Wiki page I found myself captivated by his tale of improbable opportunities and amazing outcomes; not many get to experience a life like that. I unwittingly had my first Stompin’Tom experience courtesy of my eldest daughter, thanks to that amazing gift children have for absorbing the essence of an experience and exporting it wholesale to the rest of the family. She came home from school one day singing a rousing hockey song. By the time dinner was over that evening, she’d succeeded in coaching us all to perfection. And just in time for my first ever hockey game! Tom’s song “The Hockey Game” is played at every home game of the Toronto Maple Leafs and at games throughout the NHL and I leave you with a You-Tube clip I’ve posted before, but considering the occasion, I hope you’ll indulge my sentimentality. Canada’s an easy place to feel affection for, and for me, this clip is a window into the good ‘ole days, Tom’s days, that are part of the fabric of this country’s history, and whose earnestness endear it to me in a way I’d never have expected. Well, you’ve made me just a little homesick… except I know how cold it is there right now. 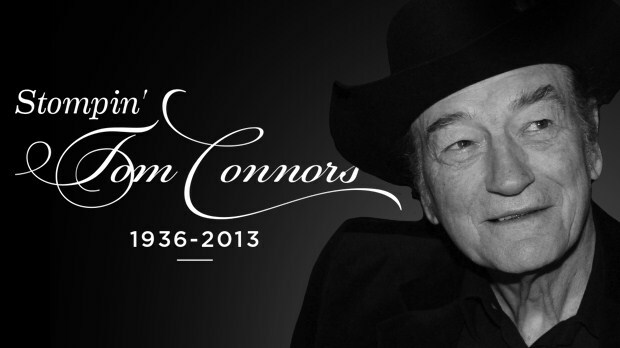 A great tribute to a special entertainer. Stompin’ Tom is definitely a Canadian icon. Thanks for the taste of home! Hey! We’re actually one degree above freezing here – I’m getting the flip-flops out! Glad the post spoke to you, I actually got kinda sentimental about it too. Canada’s definitely lodged itself in my heart. May I just take this opportunity to congratulate you on the publication of your latest book, Mental Pause. I can only imagine how satisfying that must be! A cultural icon has passed… I am so sad to hear.